Air Berlin files for insolvency. 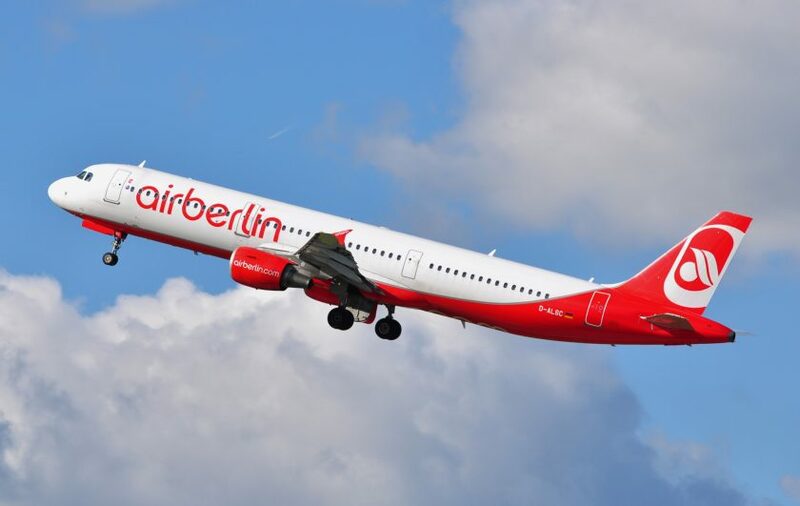 Yesterday, in a Berlin court, Air Berlin filed for insolvency. Air Berlin are the second-largest German carrier (after Lufthansa) and also a oneworld member. They’re one of the lesser known carriers in oneworld, however they have historically offered very low fuel surcharges on award bookings, so can be a great redemption opportunity for Avios. At the moment, despite filing for insolvency, they are still flying and anticipate continuing to do so for the short term; the German government stepped in with a €150m bridging loan, to ensure that there is no disorderly shut-down, like Swissair did in the early 2000s. Air Berlin have a large fleet of primarily 737s and A320 series aircraft, based in Berlin, Düsseldorf and Hamburg (among others), as well as a small fleet of long-haul A330 aircraft. They have had a rather schizophrenic strategy being a pseudo-low-cost carrier, historically not offering business class at all, and focusing on European point-to-point routes. However more recently they have expanded to offer European business class (just two rows worth) and having a reasonably solid long-haul business class product. A few years ago, under Etihad’s former CEO, James Hogan, Etihad bought 49% of the carrier in an attempt to build their own pseudo Global Alliance. This became known as Etihad Partners and included other airlines like Alitalia and Air Serbia. When James Hogan was sacked, this strategy of investing in second rate European carriers was stopped, and the substantial funding that Etihad had been pumping into the airline was stopped with it. This turning off of the money, resulted in yesterday’s court filing, after Etihad reportedly said enough-is-enough. So what happens now? That’s a very interesting question of which very few people know for sure. For those that have miles in their frequent flier programme, TopBonus, this is actually an entirely separate entity, owned by Etihad. These miles are probably safer than the rest of the businesses, however would strongly suggest burning them as quickly as you can, ideally with other oneworld airlines, for travel in the next four to six weeks. In terms of the airline itself, if news reports are to be believed, it appears that Lufthansa and EasyJet are picking over some of the assets. I suspect that there is a lot of brinkmanship going on from multiple angles, including Etihad, the aircraft lessors, with airport authorities, and not least the German government who have elections in six weeks time. The last thing they want is for holiday-makers to be stranded a few weeks before an election – that doesn’t make for good headlines. So what if you have tickets booked for travel within the next six to eight weeks? I suspect these will probably be fine, however if you have travel booked for farther out than that I would definitely be looking to make alternative arrangements and looking at backup plans. Whatever airline emerges will be substantially smaller and if some aspects of the airline get taken over, you can guarantee that schedules and routes will be changed dramatically. There is also no way that I would be making a booking with them outside the next six weeks either. I’m sure that some sort of deal will be done at some point before the German elections, however think it unlikely they will survive further than that. One can’t but think that Alitalia will be next – they’re even more of a basket case. Previous Post: British Airways introduces one-way Club Europe fares. Next Post: More on the Air Berlin insolvency.